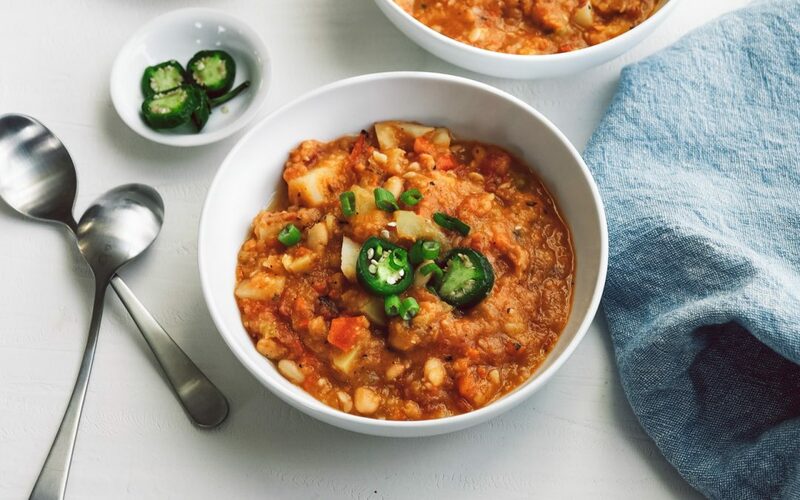 Get cozy with this Vegan White Bean Chili with Fire Roasted Tomato Chili. Just 20 minutes to cook – easy for any weeknight dinner. 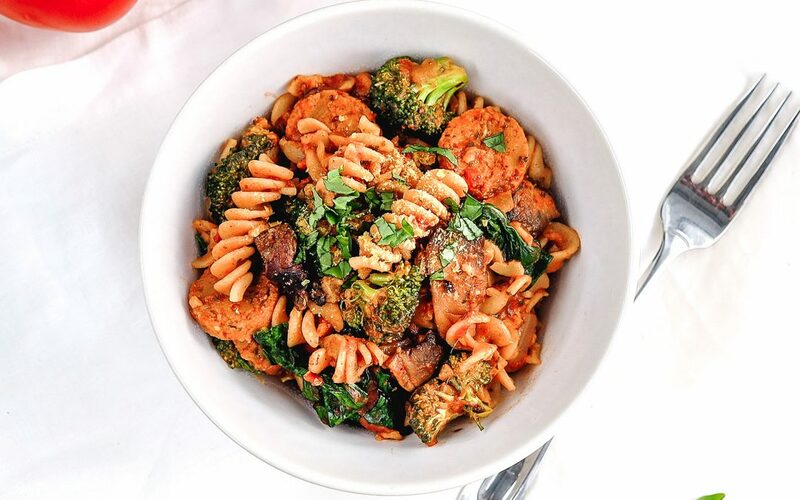 This flavorful pasta is hearty, chocked full of veggies, easy to put together and fully customizable! 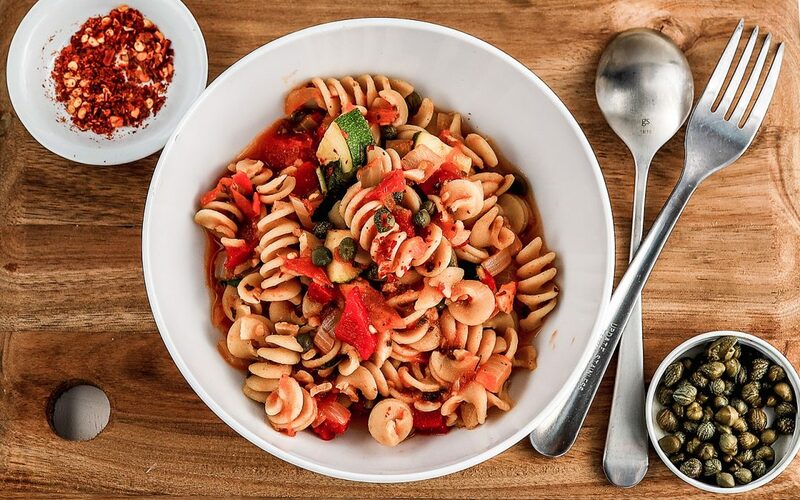 This zucchini tomato pasta is fresh, light, quick to make and healthy for you. 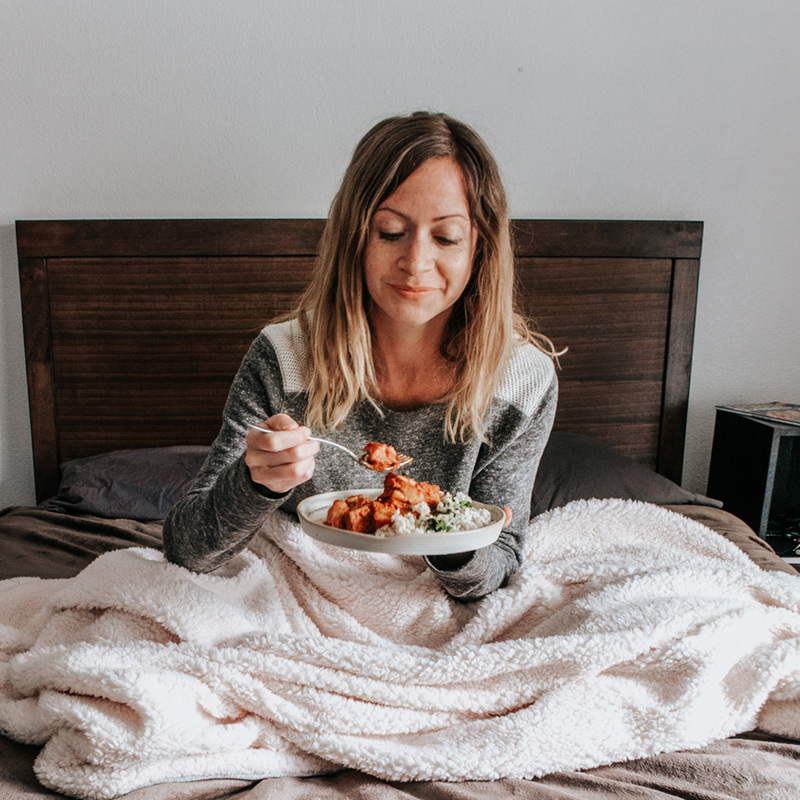 It’s all plant-based and the flavors pop! 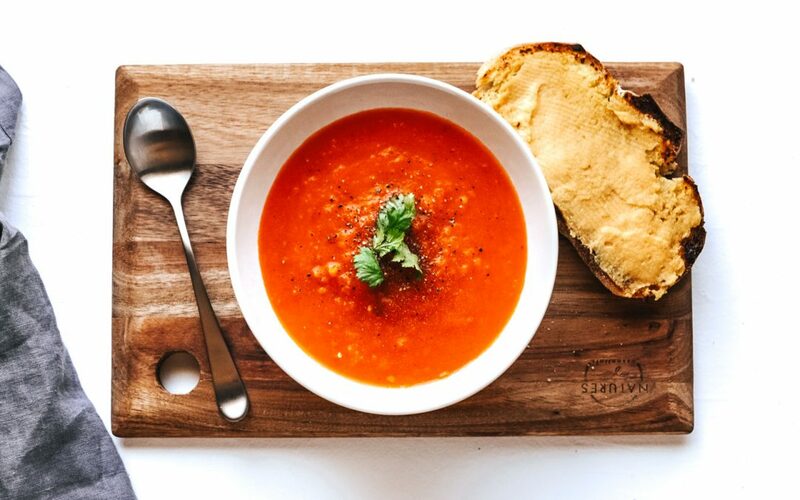 If you haven’t tried fenugreek, you’ll love it in this tomato soup! This easy recipe is perfect for weeknights and can be prepped ahead. 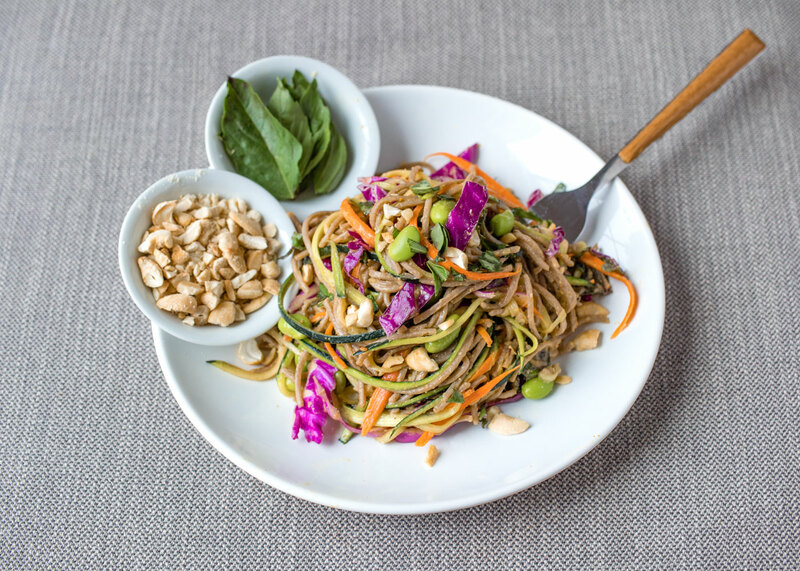 Need a quick and tasty weeknight dish? 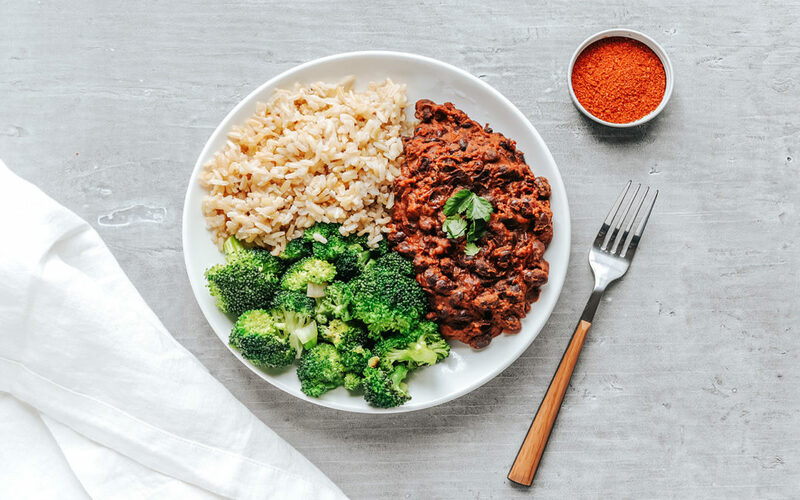 These Tikka Masala Spiced Black Beans take 10 minutes and are oh so flavorful! 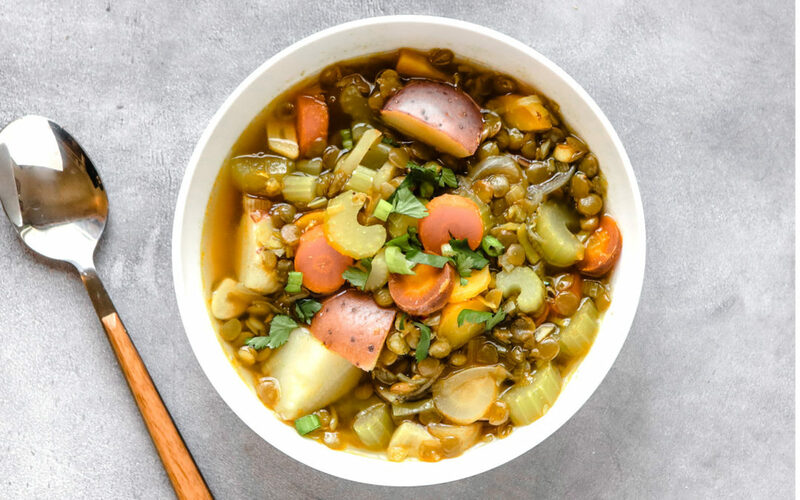 Lentils, potatoes and other veggies come together with warming spices for a perfect winter stew! 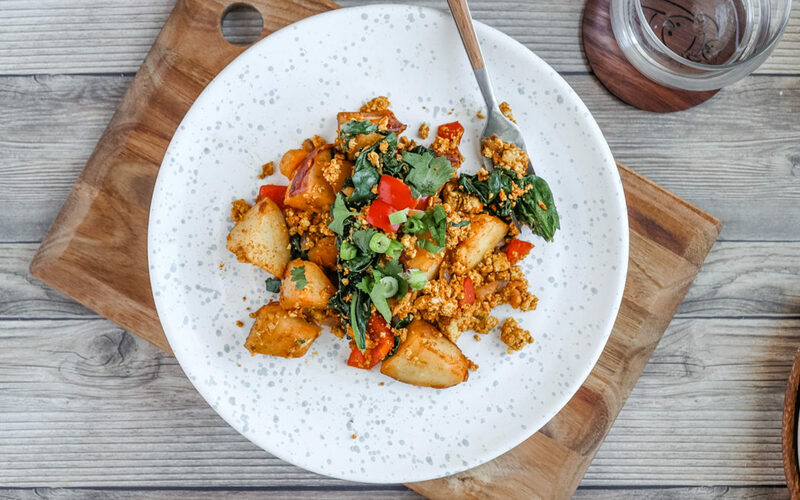 Make breakfast for the week with this flavor packed Tofu Scramble with Potatoes and Spinach. 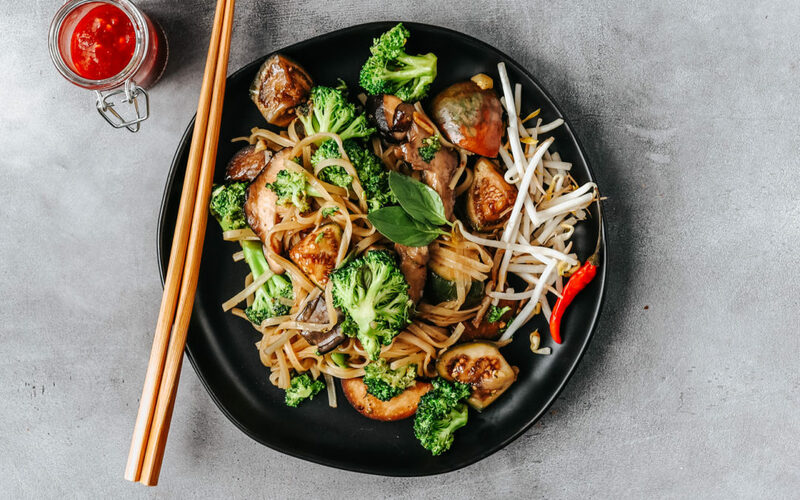 This quick and delicious Thai Mixed Vegetable Stir Fry will introduce you to a few new Thai flavors and ingredients! 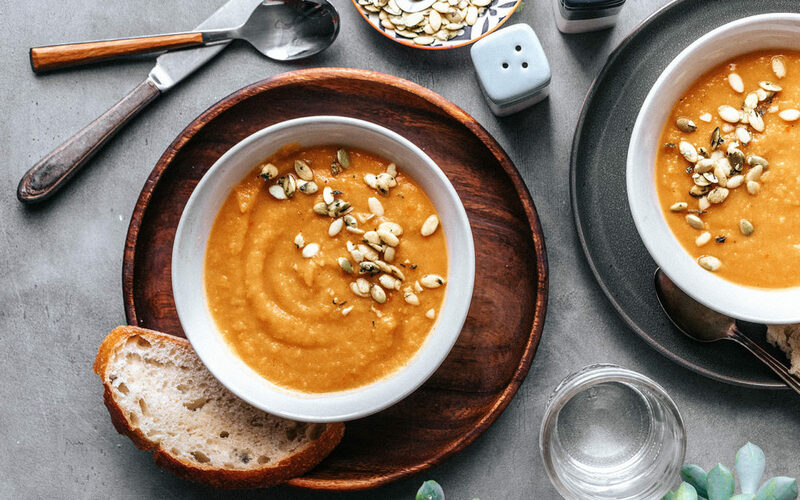 We think everyone should have a basic, warm, spiced butternut squash soup under their belt. 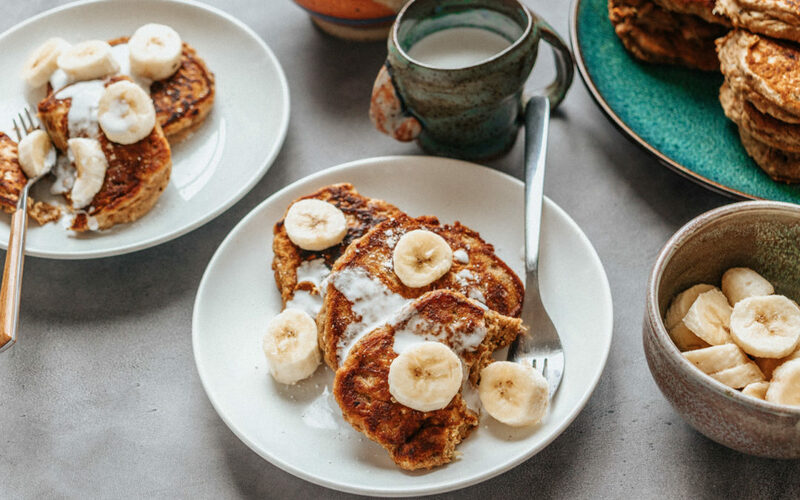 These Vegan Coconut Banana Pancakes were inspired by our trip to Thailand. Try coconut milk instead of syrup for a fun twist!